It's so exciting! Vocally they might not have had the best close knit harmonies, but what they lacked in conformity, they made up for in style and sheer excitement. 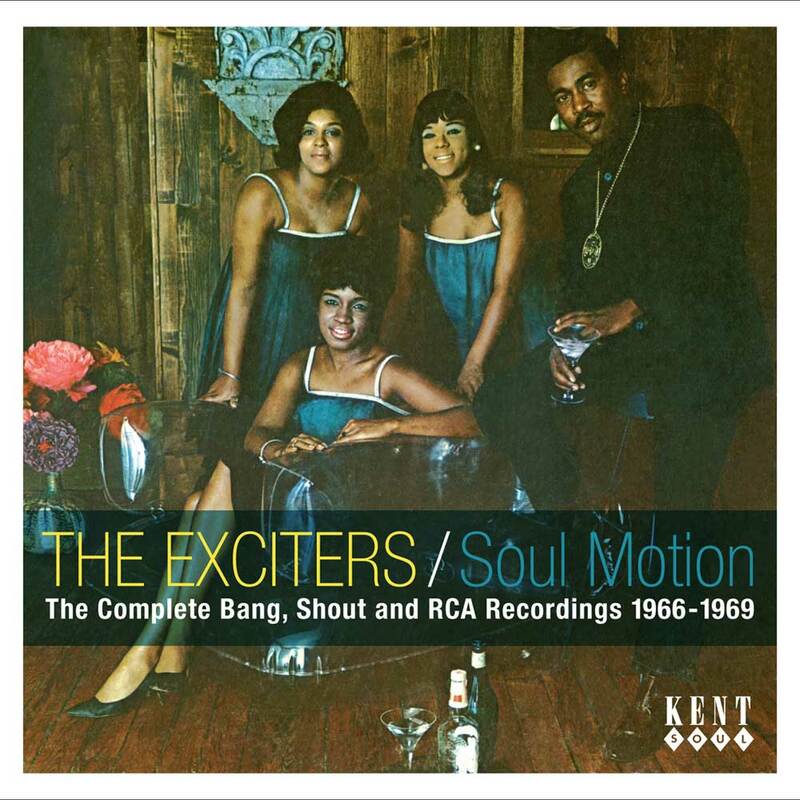 The Exciters were a combination of two groups in the early sixties. 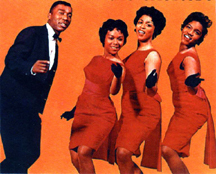 The Masters were an all-male group featuring Herb Rooney, while a sister group including Brenda Reid, Sylvia Wilbur, Carol Johnson and Lillian Walker became the Masterettes. Both groups had made recordings at Lesage Records before meeting up with Al Sears. The groups, who had been doing some shows to promote their singles, eventually auditioned for Leiber and Stoller. They were floored, and immediately signed them up. The Masterettes were given a song to learn. "Tell Her" had been recorded by several other acts, but theproducers felt it just needed the right group. When the gals came back, with the song in tow, they had lost one member and gained another. Wilbur had decided to get out before they recorded, and Herb Rooney, who had helped them with the arrangement at rehearsals, was asked to take her place. 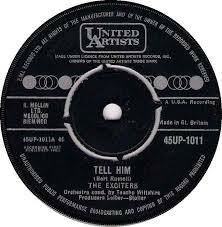 The fiery "Tell Him," as it was now called hit the charts and stormed up to number 4 in January 1963. The song was so huge that the group was called back in from the road to record a dozen more songs. Brenda was ill when she put her leads on these new tracks, but they still seemed flushed with energy. An LP's worth of recordings were made at that session, the most interesting being "He's Got The Power." At number 57 stateside, the song wasn't a big commercial seller, although it became a huge hit in Australia. 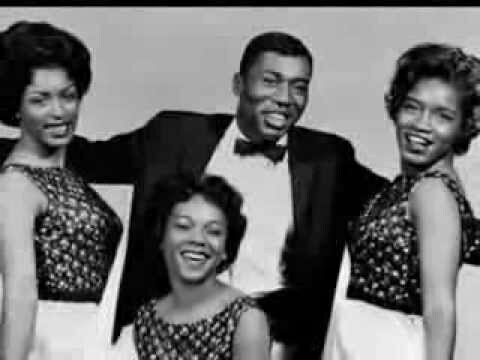 None the less, it became a timeless classic and one of the Exciters most requested hits. The gals and guy soon found themselves with another interesting selection. "Do Wah Diddy," by Barry and Greenwich was the latest offering by the partnership. Sadly, although it had all the makings of a hit, it did not go to number 1 until 1964, with Manfred Mann's cove version becoming the commercially successful side. One more session for United artists was arranged, but the group soon found itself labelless. They did, however, make history by recording a video version of "Do Wah Diddy," and "He's Got The Power." The Scopitone company wanted to create jukeboxes that showed music videos on a small screen while the song played. MTV eat your heart out! Although the "Tell Him," version has to this day been considered a classic, and turned up almost everywhere, the "He's Got The Power," rendition is now very rare. 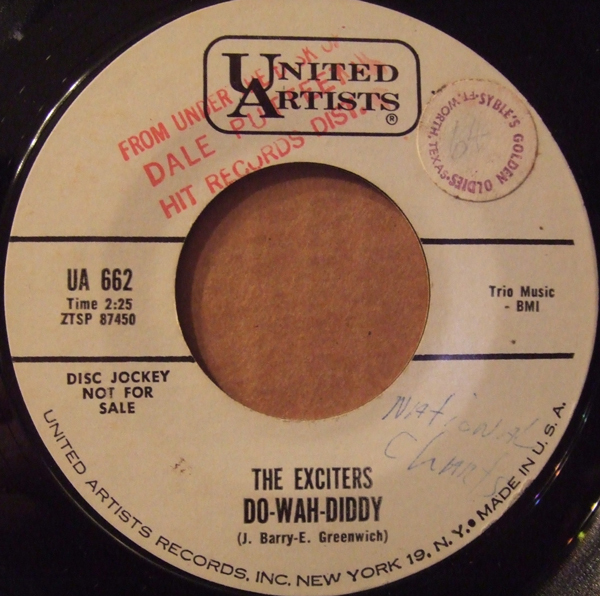 The Exciters became the first American group to record such a piece. Brenda told a story about a time they saw the video for the first time, standing behind several people who commented on how good they looked. 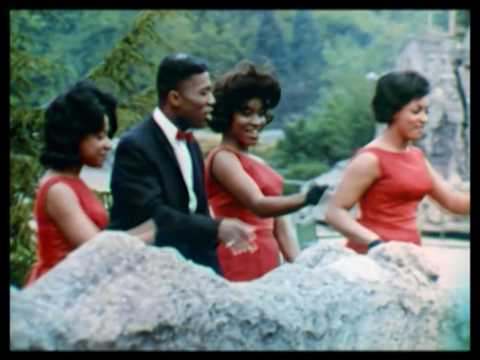 The Exciters skidattled before the people saw who they were. 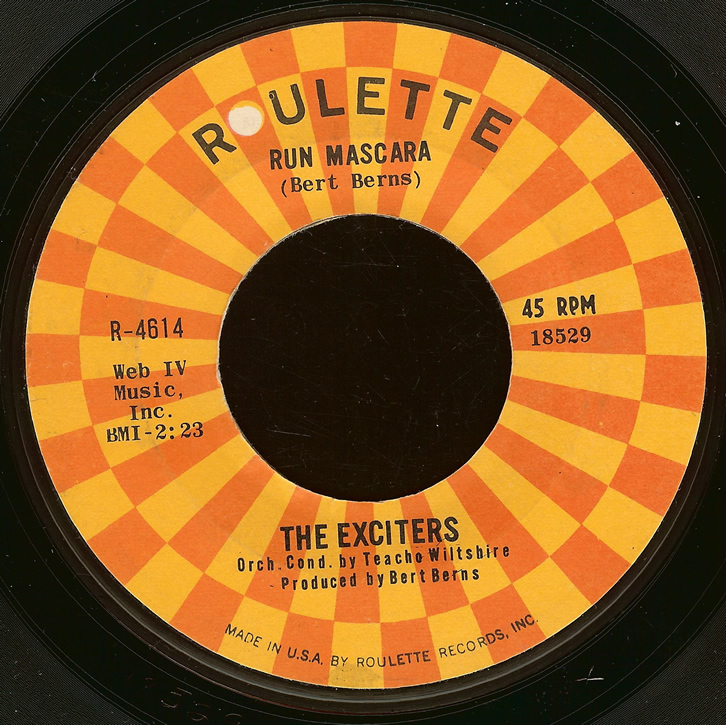 The group next sought employment at Roulette Records. Songs like "I Want You To Be My Boy," and "Run Mascara" gave the group some well deserved attention. Bert Burns, who had written their original hit, then led them Bang Records. 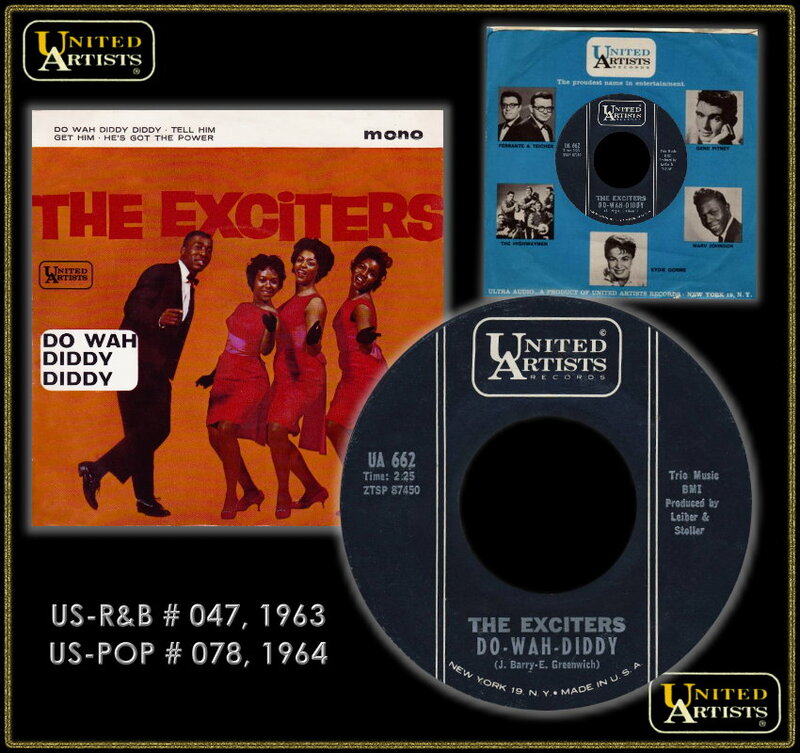 The big hit "A Little Bit Of Soap" which has been recorded countless times, traveled up the charts to number 58. Further Records emulated from Bang and it's subsidiary Shout. 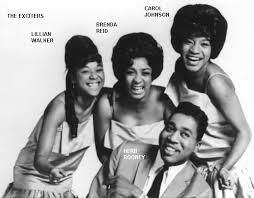 In the late sixties they recorded for RCA, and even completed a third album, the first two were at UA and Roulette. Throughout the following years they made stops at Today, Elephant, and other labels. Lillian and Carol were later replaced by Skip McPhee and Ronnie Pace. Brenda and now husband Herb also toured as a duo. 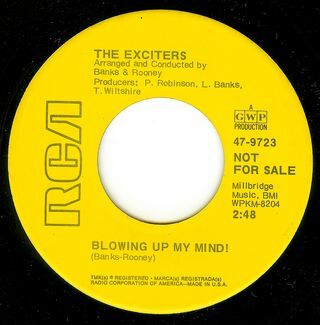 Today Brenda Reid, her children Trisha, Mark, Tracy, and Jeff, tour as the Exciters. Mark is also known as LA Reid, and he has produced hits for Lisa Lisa and Regina Belle. 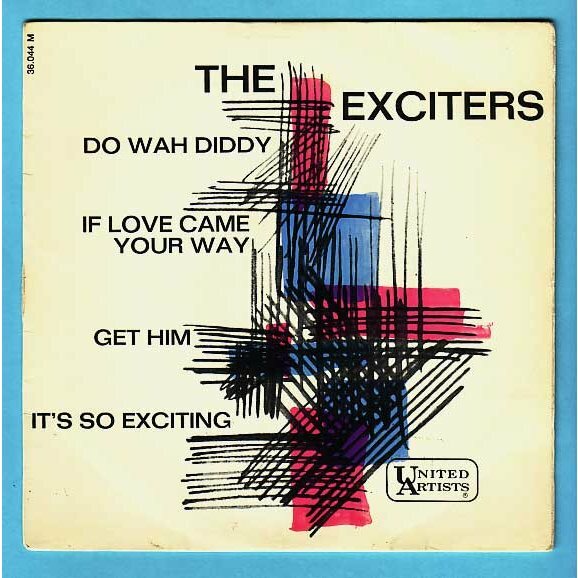 The Exciters songs have remained timeless, and "Tell Him" appears often on Ally McBeal. It's her personal theme song. Also, a group called Shonda and the Shoopettes (a.k.a. the crew from the television show Living Single) had a hit with the tune when they did a spoof on the Girl Group era. Everybody sing, "Tell Him, Tell Him, Tell Him Right Now!"